Beautiful hand made Alphabetical design with 125 Red Roses. Beautiful Heart shape basket of Red and White Roses. Beautiful Purple Orchids Special Standing Arrangement. Beautiful Basket of 12 Mix Roses. Beautiful Basket Arrangement of Pink Roses and Purple Orchids flower. Beautiful Blue Orchids flower Hand Bunch. Beautiful Bouquet Heart shape bouquet of Red and Pink Roses wrapped with normal packing. Ferrero rocher Chocolates wrapped beautifully in special packing and a greeting Card. 16 Pc Ferrero Rocher chocolate and 6 inch Teddy bear with Paper Packing. 16 Pc Ferrero Rocher Chocolates and 15+ Red Roses arranged in Heart Shape. Beautiful basket arrangement with beautiful Gerberas, Roses and Rich Lilies. Beautiful Basket arrangement of 75 Mix Roses. Beautiful Basket of Pink Carnations. 12 Red Roses Hand bunch with Normal Packing, 1 Kg chocolate Flavor Cake & Cadbury Celebrations Gift Pack (215g). Beautiful Three tier standing arrangement of Purple Orchids. Beautiful Bouquet of 70 Red Roses wrapped with special packing. Beautifully Designed Two Tiers standing arrangement of 75 Red Roses. 16 Pc Ferrero Rocher bouquet with Blue Paper / Net packing. Beautiful Basket of Mix Lilies, Anthurium and Carnations with Delicious Strawberry Cake and Balloons. Beautiful Bouquet of Roses and Lily in a Special (Paper) Packing. Beautiful Bouquet of 12 Yellow Roses wrapped with paper packing with Delicious Chocolates and cute Teddy Bear. Heart Shape arrangement of Mix Gerberas. Glads & Gerberas Basket Arrangement. Beautifully Designed Basket arrangement of 35 Red Roses. Beautiful Basket arrangement of 80 Mix Roses. Mix Roses with Paper Packing Bouquet and 1 Pound Chocolate Cake. Heart shape arrangement of 50 Pink Roses and Heart shape arrangement of 24 Pc Ferrero Rocher Chocolates. 25 Red Roses heart shape arrangement and 1 Kg Heart shape chocolate flavor cake. Chocolates arranged in beautiful basket. Beautiful Bouquet of 200 Mix Roses wrapped with normal packing. Beautiful Bouquet of 100 Red Roses wrapped with paper packing and Delicious Chocolate Truffle Cake. 15+ Mix Flowers Bouquet Wrapped in Normal cellophane packing. Bouquet of White lilies and Pink Roses. Beautiful Bouquet of 20 Red and White Roses with Delicious Chocolate Cake and Balloons. Beautiful Bouquet of 12 Red Roses wrapped with paper packing with Delicious Chocolate Cake and cute Teddy Bear. 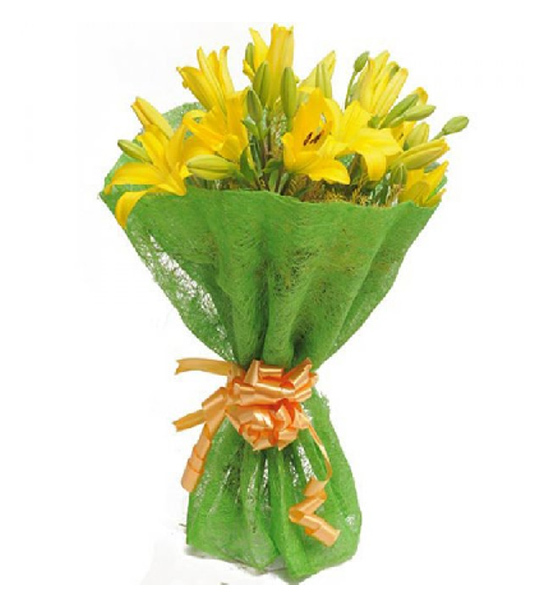 Hand Bunch of 7 Lilies wrapped in beautiful cellophane packing. Beautiful Bouquet for Colorful Carnations with one pound Cake. 30 Red and Yellow Gerbera’s arranged in basket. 100 Mix Roses Standing Arrangement (Red, Yellow and White Roses). Mix flowers Bouquet of Pink Lilies, Pink Roses and White Gerberas. 15+ Mix Flowers Hand Bunch. Hand Bunch of Lilies and Roses with a greeting Card. Basket Arrangement of 25 Colored Roses. 60 Yellow and Orange Roses Heart Shape Arrangement with a Greeting card. Beautiful Heart Shape arrangement of Mix Roses with 2 teddies (6 Inches Each). Hand Bunch of Orange Lilies and Roses wrapped with cellophane packing. Hand Bunch of 12 Orange roses. Beautiful Purple Orchids flower Hand Bunch. 20 Red Roses and 40 Red Roses Pearl Pin Two Bouquets. Beautiful Bouquet of 40 Red Roses wrapped with special packing. Beautiful Basket of 25 Mix Roses. Beautiful Basket of 12 Pink Roses. Beautiful Bouquet of 24 Pink Roses with Special Packing. 16 Pc Ferrero Rocher bouquet with Special Pink Paper packing. Beautifully Designed Heart Shape arrangement of 100 Pink Roses.